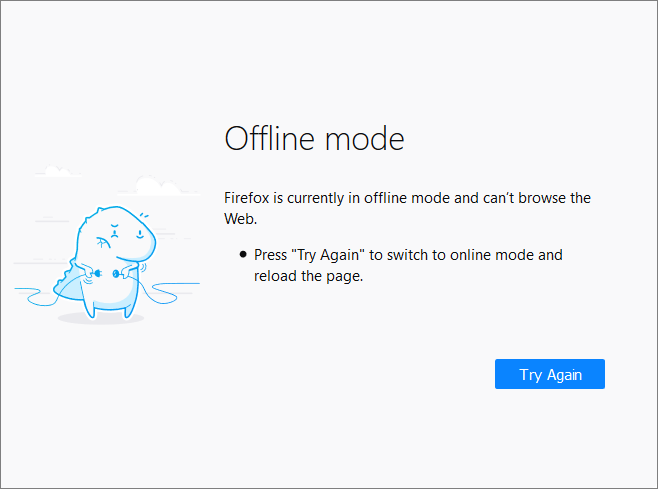 In 'Offline Mode' you are not connected to the internet but are still able to view cached and saved web pages. View cached and saved web pages. Click the 'Try Again' button to go back online.